When you’re a voracious reader with a large library, you sometimes get the feeling that there aren’t any books left to discover. There are certainly books left to be read, both old and new, but you’d like to think that you have a decent idea of the territory. Yet it’s always possible to be surprised and astonished by a book you didn’t know existed, which is exactly what happened to me last week. The book is A Guide for the Perplexed by the German director Werner Herzog, which I received as a belated holiday gift from my parents. I’m a Herzog fan, but not a completist: I’ve seen maybe five of his features and three or four of his documentaries, which leaves a lot of unexplored material, and I’m not ashamed to admit that Woyzeck put me to sleep. But I’m stunned by this book. 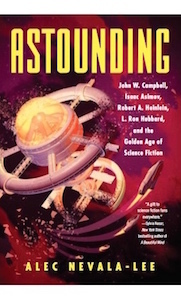 It’s a revised and expanded version of Herzog on Herzog, a collection of his conversations with Paul Cronin that was originally published more than a decade ago, and I’m filled with regret at the fact that I didn’t pick up the first edition when I had the chance—I feel that my life would have been subtly different if I had. Not only is it the first book I’d recommend to anyone considering a career in filmmaking, it’s almost the first book I’d recommend to anyone considering a career in anything at all. Peter Zeitlinger [Herzog’s cinematographer] is always trying to sneak “beautiful” shots into our films, and I’m forever preventing it…Things are more problematic when there is a spectacular sunset on the horizon and he scrambles to set up the camera to film it. I immediately turn the tripod 180 degrees in the other direction. Those who read own the world. Those who watch television lose it. If a rock star survives long enough, there inevitably comes a point in his or her career in which every new album is hailed as a return to form. It can be amusing to see this little drama played out every two or three years—as it did, for instance, throughout R.E.M.’s last active decade—but it isn’t hard to understand why. Rock criticism is a singularly thankless job: it’s written on deadline, often with only a few days to consider the work in question, but it concerns itself with a form of art defined by its effect on us over months or years. When an established star puts out a new album, it tends, at minimum, to be polished and professionally produced, with a handful of exciting songs; at first listen, we naturally compare it to our memories of earlier works that have sustained the same qualities over decades or more, and the initial comparison tends to be favorable. Before long, however, the new release is invisibly absorbed into the rest of the artist’s discography, while the older material, tested by time, retains its staying power. 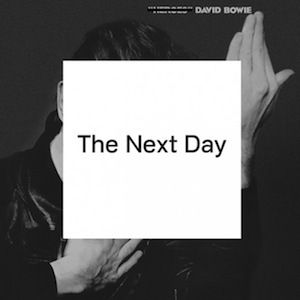 And when the next album comes along, in that first blush of excitement, it’s easy to see it as, say, David Bowie’s best work since Scary Monsters. This is why it pays to be a little cautious with the reviews hailing The Next Day as one of the strongest albums of Bowie’s career. In this case, we need to be especially careful, because it’s his first new album in ten years. Bowie, to put it mildly, is an interesting guy, and it’s been so long since he’s given us anything new that it’s easy to give his latest album more love than it deserves, if only because provides an excuse for us to think and talk about him again. That said, even after a few listens, I think it’s a very good album: my favorite tracks are probably “I’d Rather Be High” and “How Does the Grass Grow?”—the latter largely for its cheeky vocal appropriation of the bridge from “Apache,” the greatest of all rock instrumentals. All the same, I’d probably place it slightly below some of Bowie’s later work, notably the wonderful Heathen, or even Hours, an uneven album that nonetheless contains what I think is Bowie’s best song. And although I’ll continue to listen to this album a lot over the coming weeks, it’s just too soon to say how it will hold up over time. 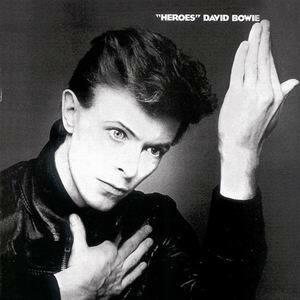 The problem is that the production that Bowie and [producer Tony] Visconti chose for the songs puts this record, sonically, closer to the blocky drums and sports-bar guitars of eighties albums like Let’s Dance and Tonight than to some of his slightly hidden gems from the past two decades. Frere-Jones is disappointed by this, but to me, there’s a more profound message here: as great as the earlier songs may be, Bowie seems to understand that his work needs to be recentered, gently but firmly, on the most nakedly commercial music of his career. Writers, poets, painters, musicians, philosophers, political thinkers, to name only a few of the categories affected, must woo their readers, viewers, listeners, from distraction. To this we must add, for simple realism demands it, that these same writers, painters, etc., are themselves the children of distraction. As such, they are peculiarly qualified to approach the distracted multitudes. They will have experienced the seductions as well as the destructiveness of the forces we have been considering here. I didn’t realize it at the time, but this perfectly describes Bowie, who, like his disciple Lady Gaga, understands that before you can ask us to reflect on the meaning of stardom and illusion, you first need to achieve the somewhat more straightforward task of becoming the biggest pop star in the world. At his best, Bowie, who took both his name and his earliest creative breakthrough from Kubrick’s 2001, saw the future more clearly than anyone else. And the skull grins through even his most unabashedly mainstream moments. If you listen carefully to “Let’s Dance,” you can hear something rattling in the background, alongside the slick horns and synthetic percussion. It’s the sound of Bowie’s false teeth.